Tajikistan. Zargar. 2009. 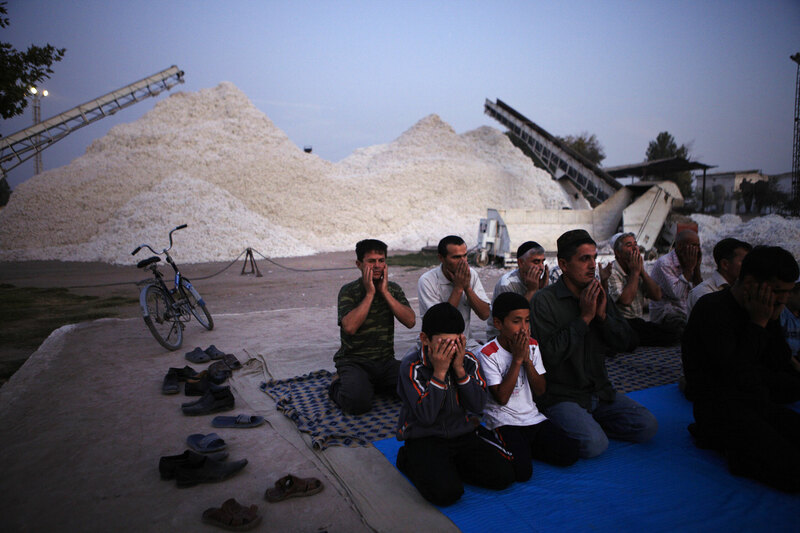 Evening prayers during Ramadan at the cotton processing plant in Zargar. (last prayer before breaking the fast). Although it is now officially banned to make school and university students skip school to pick cotton, many younger kids help out during harvesting and processing.